An existing one story ranch is to have a second floor added and include two new bedrooms and a shared bath with a family room and some interior remodeling added at the first floor. Per the homeowner’s request, the house has been transformed into a Craftsman style house in terms of massing and exterior finish treatments. 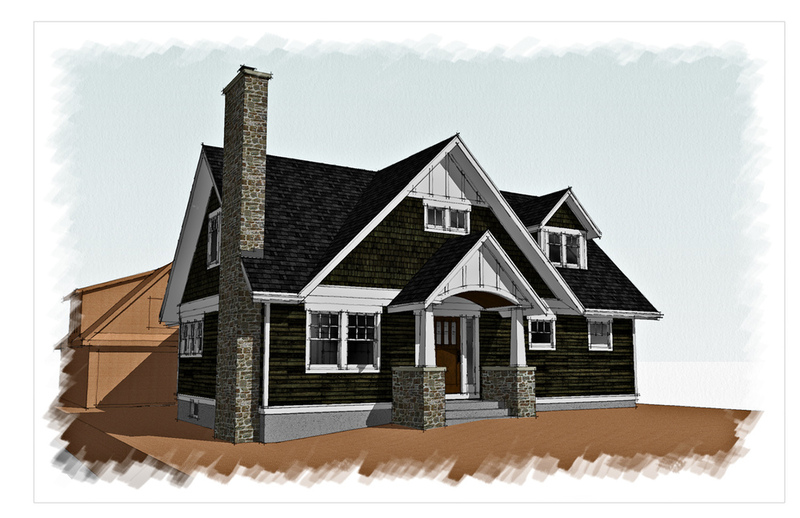 A new covered front entry porch is also proposed with sitting ledges to engage the front yard.